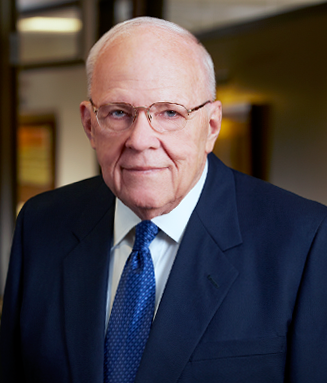 The founder of Knowles Law Firm, Jim Knowles, Sr. was born and raised in Omaha. He pursued undergraduate studies at Creighton University and obtained his law degree from St. Louis University in 1954. Following military service, he began his legal career in Omaha in 1957. By the mid-1960s, he was spending the majority of his time on personal injury cases. He started Knowles Law Firm in 1967, and his two sons, Jim and Bob, joined him in 1982 and 1986, respectively. He has litigated hundreds of cases throughout his career spanning over 50 years and is now Of Counsel to the firm. Jim Sr. also has two daughters, both living in Omaha, one of whom is a physician and the other a schoolteacher.